The capital city of Yaroslavl oblast. Yaroslavl is a city in Russia, the capital of the Yaroslavl region. 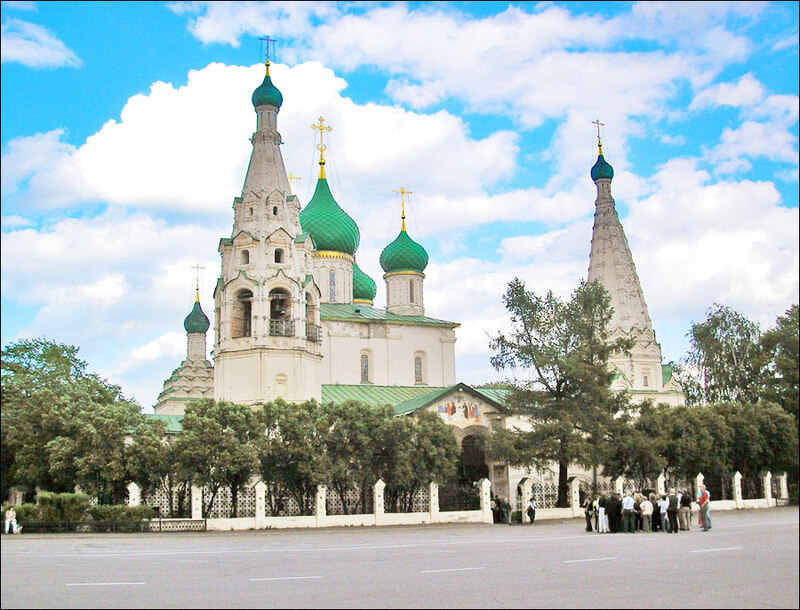 It is one of the oldest cities in the country and one of the main objects of the Golden Ring of Russia. The historic center of Yaroslavl, located between the Volga and the Kotorosl rivers, is a UNESCO World Heritage Site. 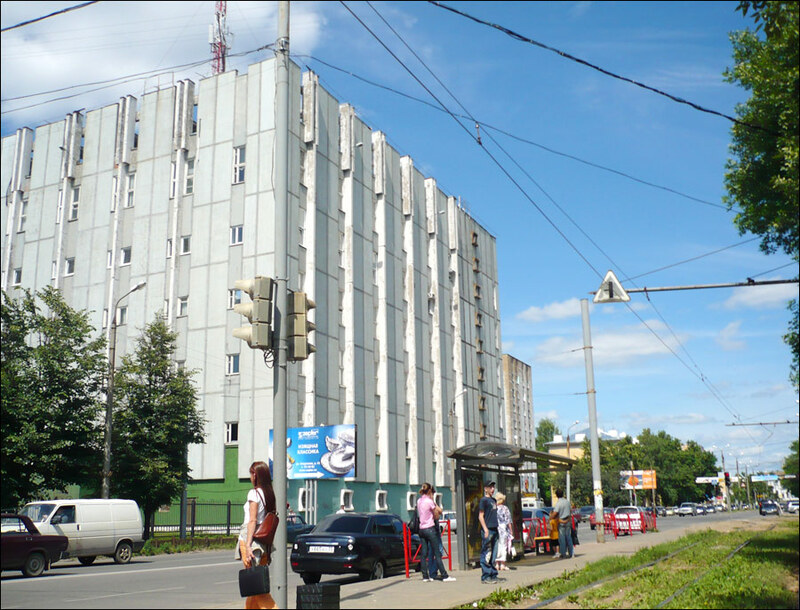 The population of Yaroslavl is about 604,000 (2015), the area - 206 sq. km. The phone code - +7 4852, the postal codes - 150000-150064. Local time in Yaroslavl city is April 18, 6:15 pm (+3 UTC). 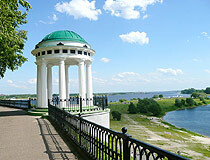 According to chronicles, Yaroslavl is the oldest existing city on the Volga River. The legend of the foundation of the town says that in 1010, the future great Kiev prince Yaroslav Vladimirovich, being the prince of Rostov the Great, traveled through his land. In the place where the Kotorosl River flows into the Volga River he encountered an unknown tribe of pagans, who let loose a fierce bear on him. 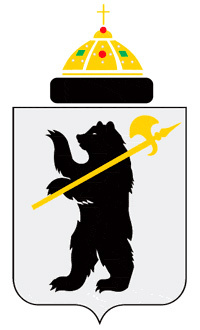 The prince was not frightened and killed the bear with his poleaxe. Pagans were pacified and Yaroslav decided to found a town with a fortress on this place. The town was named Yaroslavl, in honor of its founder. 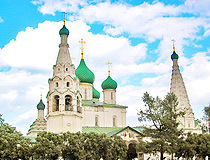 During the first two centuries of its existence, Yaroslavl remained a small border town of Rostov-Suzdal land. In the 12th-13th centuries, due to its favorable geographical position, Yaroslavl became one of the most developed towns in ancient Rus’, a major center of trade and crafts. Strong business relationships were established with the countries of East and West, especially with Scandinavia - Yaroslavl was mentioned in the Scandinavian sagas. Yaroslavl became a center of transit trade. The first stone buildings appeared shortly before the Mongol invasion in the 1210s. Yaroslavl became part of Grand Principality of Moscow in 1463. The town began to turn into the largest center of transit trade along the Volga after the Russian-British trade through Arkhangelsk was organized. It was one of the first towns in Ivan’s IV (Ivan the Terrible) oprichnina (a state policy that included institution of secret police, mass repressions and confiscation of land). The Great Massacre, carried out by oprichniki in Novgorod in 1570, forced a lot of Novgorod families, including merchants, to leave the devastated town and move to Yaroslavl. In 1611, in the so-called Time of Troubles, locals joined the first people’s volunteer corps to liberate Moscow, captured by the Poles, but they were defeated. From April to June 1612, the second people’s volunteer corps under command of Minin and Pozharsky were stationed in Yaroslavl. The town played the role of capital. When the militia replenished with new strength, it finally freed Moscow. 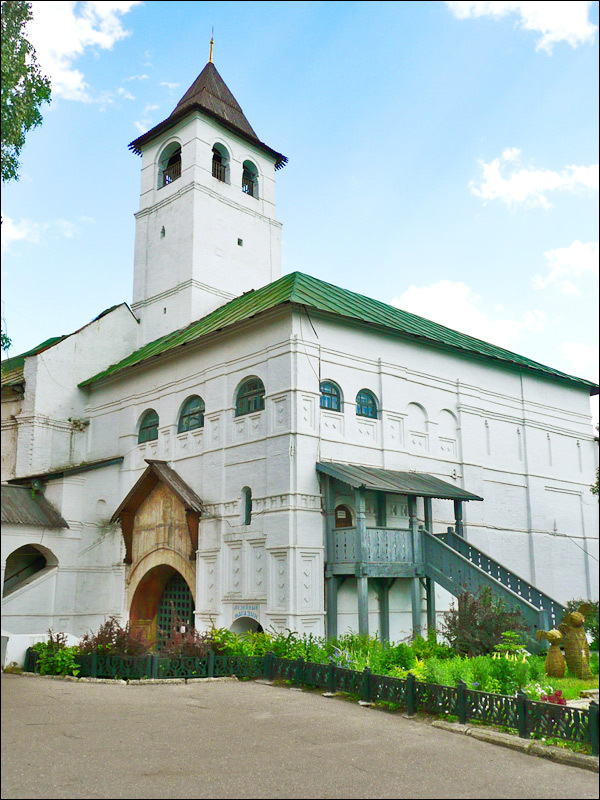 The young Tsar Mikhail Fedorovich, when called from Kostroma to Moscow, made a long stop at the Yaroslavl Spassky Monastery, where he signed a document of consent to ascend the throne. In memory of these events, Kazan monastery was founded. 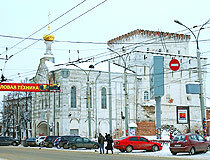 Yaroslavl quickly recovered after the Time of Troubles. The town developed into a major commercial and craft center, the second largest Russian town. 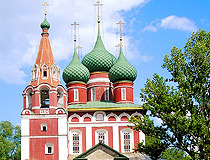 In the 17th century, Yaroslavl reached its peak. During this century, 3 monasteries and about 60 stone churches were built. In connection with the reforms of Peter the Great, Yaroslavl lost its leading positions. Peter I did not want to trade through Arkhangelsk and the merchants living in the town were ruined. After St. Petersburg was built, Yaroslavl lost its importance as a trading center, but the local industry began to develop. 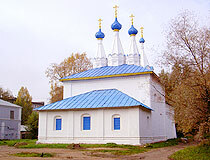 After the formation of the Yaroslavl province (1719), Yaroslavl became an ordinary provincial center. 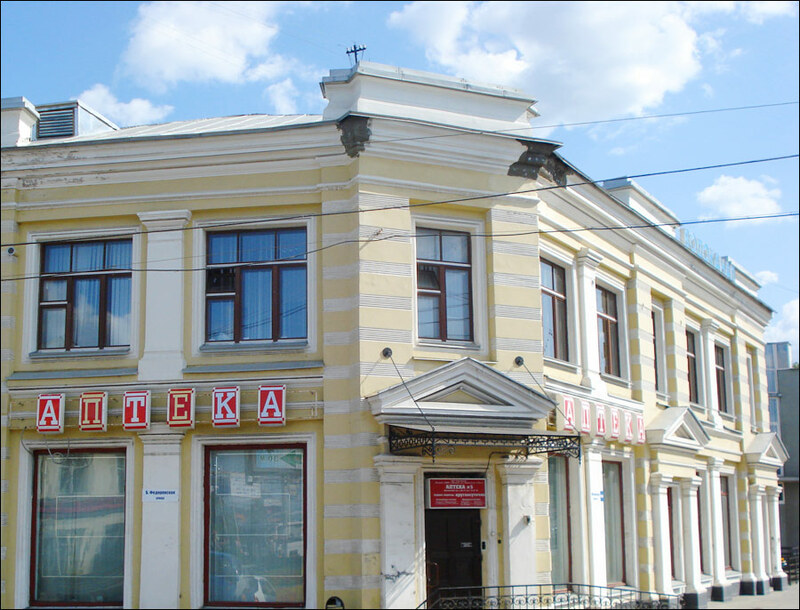 In 1750, F.G. Volkov founded Russia’s first public theater in Yaroslavl. In January 1752, it moved to St. Petersburg. As of 1771, there were 11 large industrial enterprises in the town. In 1777, Yaroslavl became the center of the province, a major administrative center. In 1788, a unique work of Old Russian literature was found in the library of the last abbot of the Spassky Monastery - “The Tale of Igor’s Campaign.” In 1778, the first regular plan of building of Yaroslavl was approved. During the Russian-French War of 1812, Yaroslavl was a hospital center. Escape of the nobility from Moscow, captured by Napoleon, was reflected in the pages of the novel “War and Peace”. 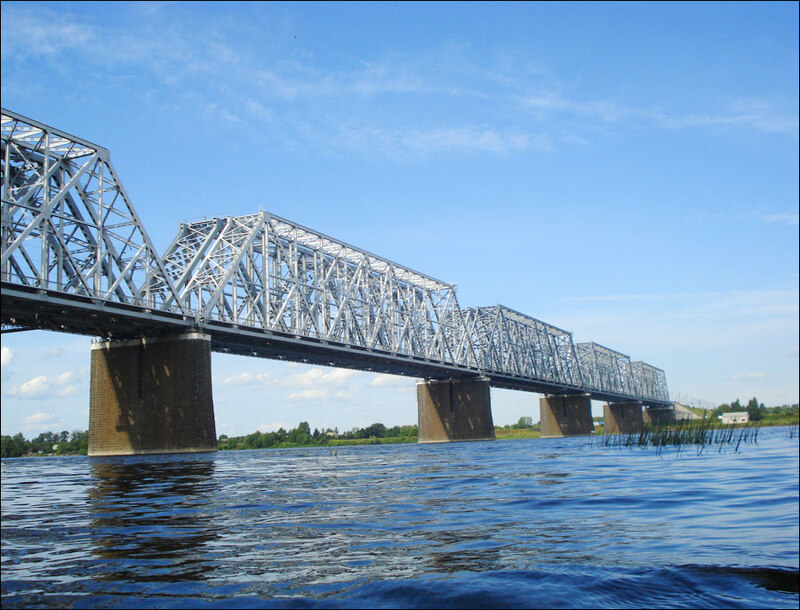 In 1812, the first bridge across the Kotorosl River was built. In 1860, there was a telegraph line with Moscow. 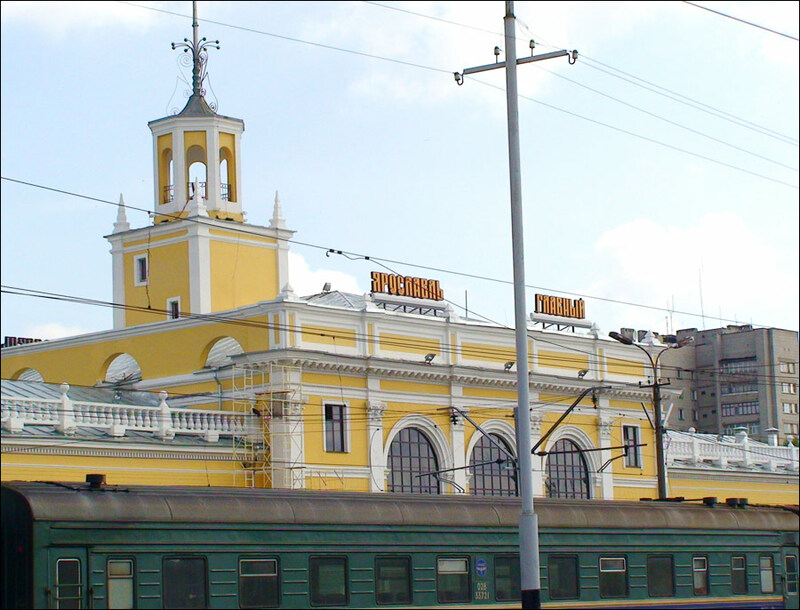 Since 1870, the town had a direct rail link with Moscow, St. Petersburg, Kostroma. 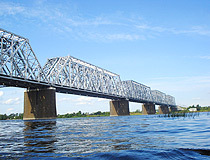 In 1913, a railway bridge across the Volga was opened. 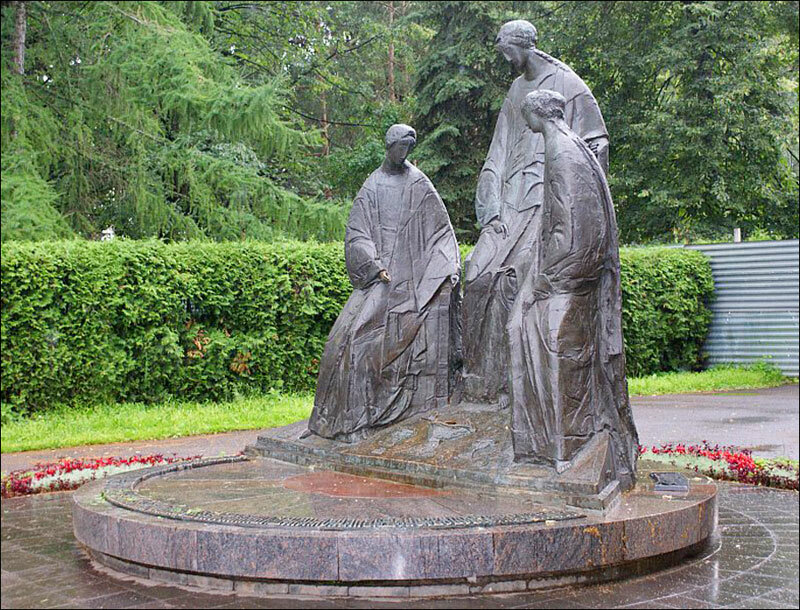 The most devastating event in the recent history of Yaroslavl was the Civil War (July 1918). Artillery bombardments resulted in the deaths of people, fires, destruction of houses, industrial enterprises and historical monuments. By the mid-1920s, the city again had more than 100,000 inhabitants. 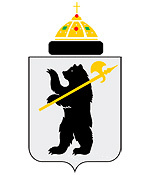 In 1929, the Yaroslavl province was abolished. 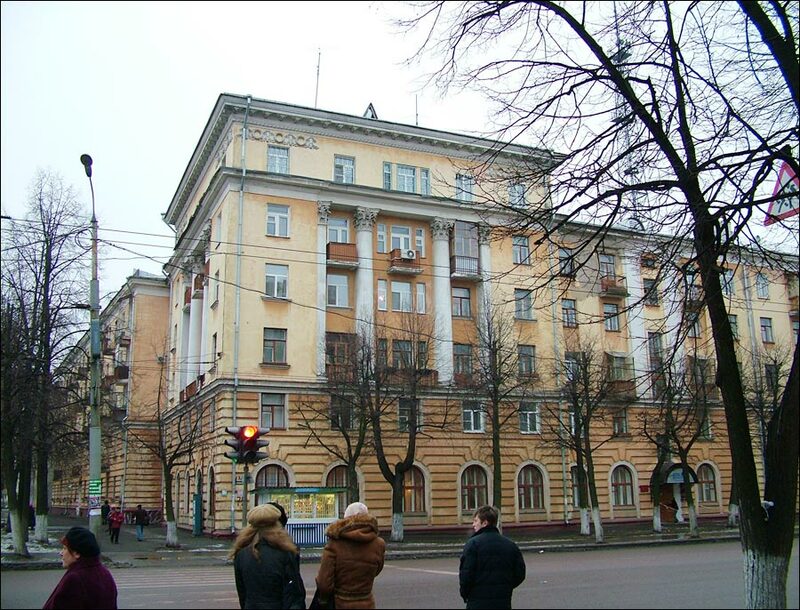 In 1936, the city became the capital of the newly established Yaroslavl region (oblast). Synthetic Rubber Plant, built in 1932, was the world’s first synthetic rubber plant. In the 1940s, the Yaroslavl tire factory produced about 80% of all tires for vehicles in the USSR. During the Second World War, more than half a million residents of the Yaroslavl region were sent to the front, about 200,000 of them were killed. 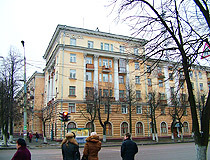 By the 1950s, the city became one of the largest industrial cities of the Soviet Union. In 1961, Novoyaroslavsky refinery was opened. In the late 1980s, the city’s population peaked - about 650,000 people, then the population began to decrease. 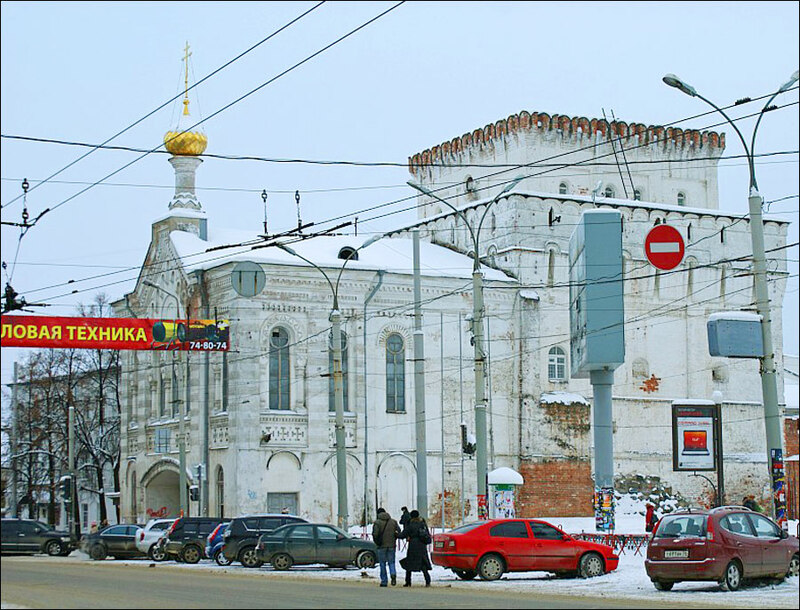 But, despite the difficulties of the transition economy, Yaroslavl managed to maintain its economic and cultural potential. 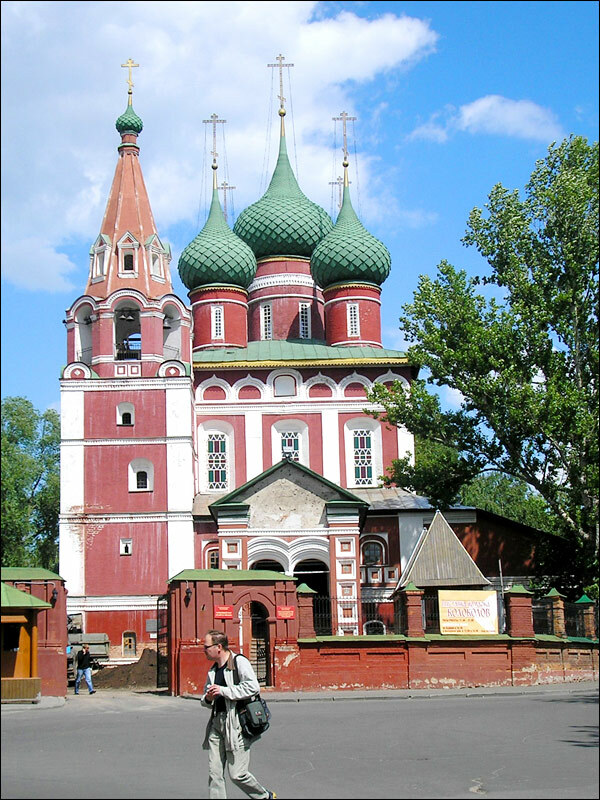 Since the late 1980s, a lot of churches were returned to the Russian Orthodox Church. 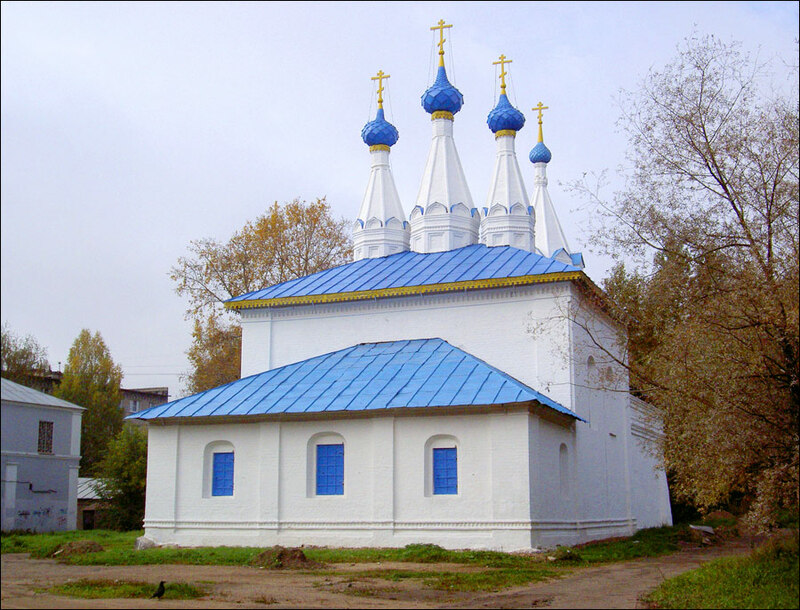 In 2007-2010, active construction of new and reconstruction of existing facilities was conducted related to the preparation for the celebration of the Millennium of Yaroslavl in 2010. Yaroslavl is one of the oldest Russian cities that was founded in the 11th century and reached its heyday in the 17th century. The city is located in the central part of the East European Plain, on the both banks of the Volga River, where the Kotorosl River flows into it, about 265 km north-east of Moscow. 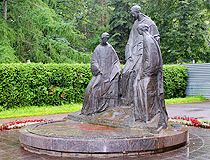 In 2010, Yaroslavl celebrated its millennium. City Day is celebrated on the last Saturday in May. On this day, in the evening, you can watch the fireworks on the embankment of the Volga River. On the Russian banknote of 1000 rubles you can see Yaroslavl and the sculpture of the founder of the town - Yaroslav the Wise. The climate is temperate continental. Winters are moderately cold and snowy, lasting more than five months. Summers are moderately warm, humid. The average temperature in January - minus 12 degrees Celsius, in July - plus 17.9 degrees Celsius. 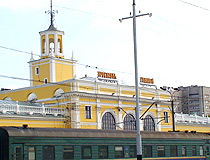 Yaroslavl is an important railway and highway juncture. The federal highway M 8 “Kholmogory” Moscow-Yaroslavl-Vologda-Arkhangelsk passes through the city. There is also a river port and airport. Public transport includes buses, minibuses, trolleybuses, and trams. The city is a large industrial center. Today, tourism also plays an important role in the city’s economy. Valentina Tereshkova, who became the world’s first woman-cosmonaut in 1963, was born in the Yaroslavl region and lived in Yaroslavl. In 2000, for the first time, a Russian animated film “The Old Man and the Sea”, created by the Yaroslavl animator Alexander Petrov, won an Oscar. Yaroslavl is one of the few provincial cities of Russia, where you can find all the main directions of Russian architecture of the 16th-20th centuries. The central part of Yaroslavl, built in accordance with the general plan approved by Catherine the Great in 1778, is a remarkable example of urban art of the Classical period. Buildings in the Art Nouveau style, constructed at the turn of the 19th-20th centuries, are the true architectural gems of the urban landscape. 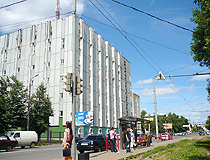 The unique urban structure of Yaroslavl was recognized by the world cultural community. Yaroslavl became the third Russian city, after St. Petersburg and Veliky Novgorod, included in the honorable list of world monuments with more than a hundred of monuments of architecture including the unique temple buildings of the 16th-18th centuries. On the streets and squares of Yaroslavl you can see a number of different monuments including the Demidov Pillar, monuments to Fyodor Volkov, Nikolai Nekrasov, Yaroslav the Wise. Transfiguration Church in Spassky Monastery is the most ancient monument, built in 1506-1516 on the foundation of the original construction of 1216-1224. Church of Ilya the Prophet is a real gem of ancient Russian architecture. 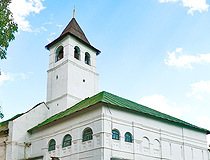 This simple in form, strict and solemn church with five cupolas is extremely beautiful. Church of St. John the Baptist is a masterpiece of Yaroslavl architecture of the 17th century, a monument of world importance. Grandiose in size, fantastic in its 15 cupolas silhouette, the church impresses by its luxury and number of frescoes. This is a real encyclopedia of gospel and bible plots, the only in the world arts. The ensemble of Tolga Convent (the 17th-19th centuries), located on the left bank of the Volga, is also worth mentioning. The convent was founded in the early 14th century. 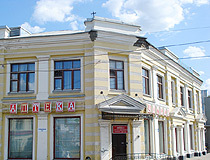 Museum of Musical Instruments “Music and Time” (Volzhskaya naberezhnaya Street, 33a). For a nation that has embraced a communist ideology, Russia sure seems to have a lot of churches and religious influences. 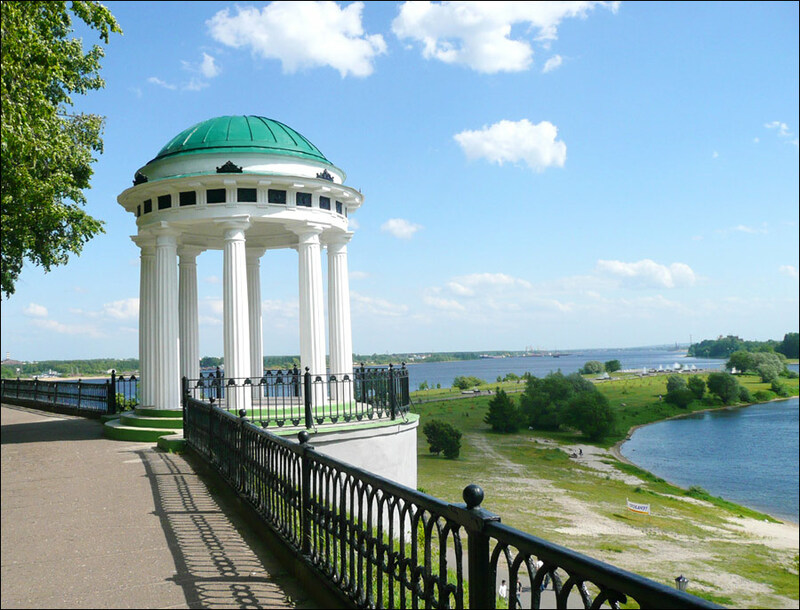 A superb example of one of the historic Golden Ring cities, with its carefully restored centre sitting on the banks of the majestic Volga river. But at the same time a modern, diverse commercial city & centre of education, with a young vibrant population. A great example of the real Russia where old and new sit side by side. I adopted my daughter Anna from Yaroslavl baby orphanage number 1 16 years ago. We plan to visit in the summer 2014. We are so excited to see the cultural and historical sites.